so that's what I'm playing with today. You can check out their challenge HERE. winner for the February Challenge! OK, back to today's challenge - Anything goes. 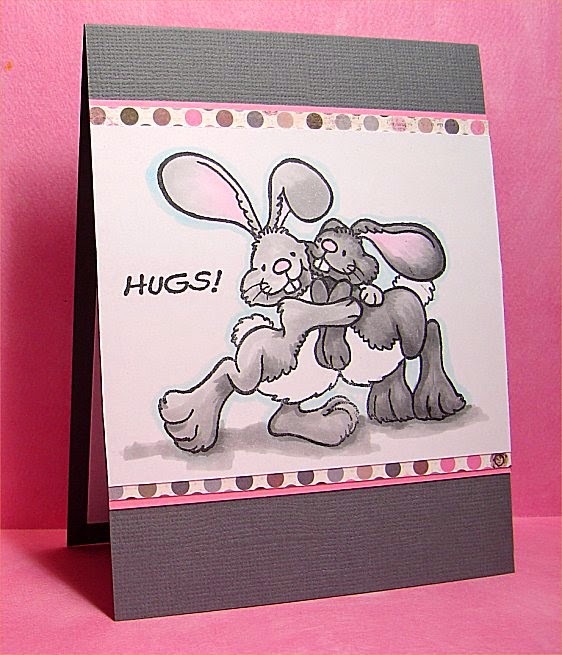 Adorable Card Doni! Thank you for playing a long with us on our March Challenge: Anything Goes at High Hopes!!! Great stamp choice Doni! So cute! Fantastic colouring on these cuties. Thanks for playing along with our challenge at High Hopes! Very cute, Doni! Love your colouring! Thanks for joining us at High Hopes and good luck in the Challenge! Very cute. I love your coloring and so glad that you used your new stamp right away. Thank you for playing along with the High Hopes Challenges again!! Our April Challenge will be posted tomorrow. Even though you are guest, you are still welcome to enter the challenge as well.